As you reach your 40's, your life will continue to change. This is also the time when most people begin to enter their peak earning years. Take a look at some of things you can do to prepare for the next chapter in your life. If you die without a will in place, the state in which you reside will determine how your property is distributed upon your death. This includes your bank accounts, real estate, and any other assets you own at the time of your death. You can find more information on wills & estate planning here. While this may not be a financial goal per se, getting healthy can help lower your insurance premiums. You could save up to $10 to $15 every biweekly paycheck for an average savings of $390 a year. Additionally, the healthier you are, the fewer trips you’ll make to the doctor, saving you even more money. If you smoke, make it a goal to quit now. Quitting will decrease the chances of heart attack, heart disease, stroke, kidney failure, and lung cancer. 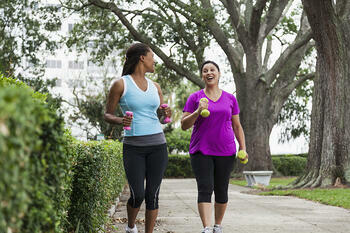 Check with your employer as many may offer incentives or wellness programs that encourage employees to get healthy. At this point in your life, your parents may be approaching the stage in life where they need some extra care. Before you get to this point, you need to sit down with your parents and siblings and decide what you are going to do together. This may mean selecting a specific care facility, moving parents closer to home, and deciding on end of life options. It’s a tough conversation to have, but necessary to avoid additional stress later down the line. Your 40’s is the time you are most likely eligible for the most tax exemptions. Make sure you taking advantage of everything for which you are qualified. The best way to do this is tax programs which automatically check for deductions based on your information. Cyprus members can save up to $15 on TurboTax or $30 on Jackson Hewitt Tax Preparation.